The Jack Crevalle has a silver colored body with blue green along the back and yellow along the body. Their bodies are compressed and has a series of scutes (enlarged bony scales). Their tail is deeply forked and one of their most unique features is the small round black spot at the lower base of the pectoral fin and one on the gill cover. These fish are known to be aggressive predators and powerful fighters and are just one of many jack species. What are other names for a Jack Crevalle? The Jack Crevalle is also referred to as the common jack, black-tailed trevally, couvalli jack, black cavalli, yellow cavalli, among others. 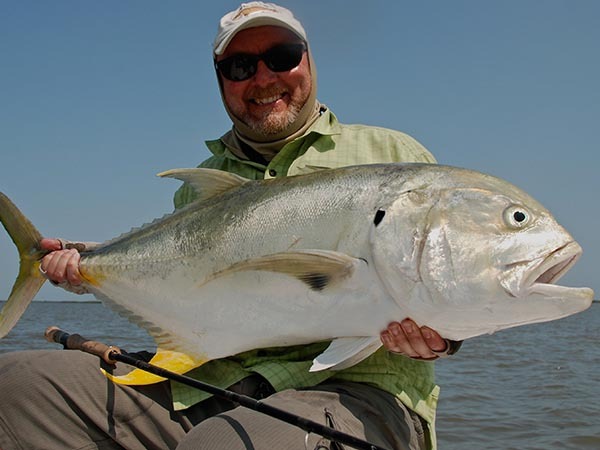 The average Jack Crevalle is 2 – 5 lbs, but larger sizes up to 25 lbs are fairly common. The Texas record is 52.25 inches and 50.25 lbs! Jack Crevalle are found throughout the tropical and temperate waters of the Atlantic, stretching from Nova Scotia to Uruguay, including the Gulf of Mexico. Offshore reefs are key habitats for Jack Crevalle, but they are frequently found in the inshore environments as well. Shallow flats, sandy bays, beaches, seagrass beds, and lagoons are common places to find these fish. Water temperature is key for the Jack Crevalle and they are only found in Texas when the water temperatures permit; usually late spring through early fall. 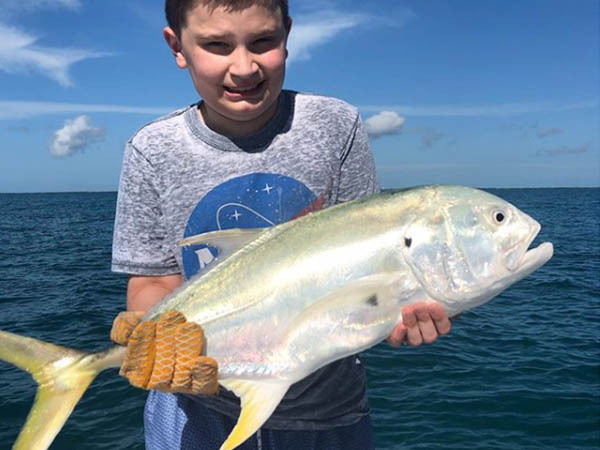 Jack Crevalle are aggressive predatory fish and are known for hunting in schools and eating most fish and other prey that are smaller than them. This includes anchovies, pinfish, shrim, crabs, squid and others. 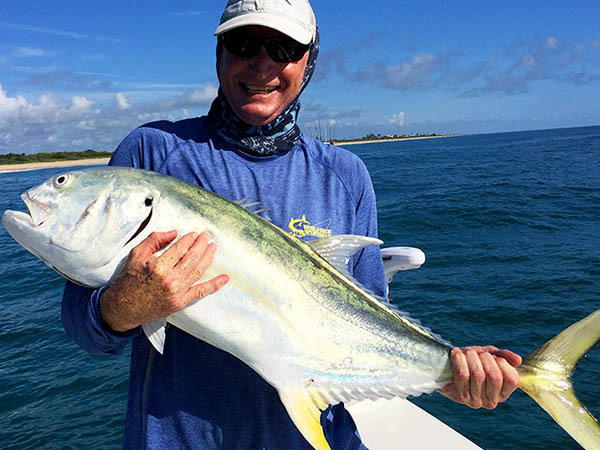 Are Jack Crevalle targeted by anglers? Jack Crevalle are gaining popularity among light tackle and fly anglers due to their strength, stamina, and fighting ability. They are also generally not too finicky and will usually hit a fly showing quick and realistic movement. These fish are not popular table fare, so their value is mostly in their enthusiastic fighting ability.